Dream Tiles of Bicester, Oxfordshire, are specialist suppliers of high quality floor and wall tiles, glass works, mosaics, flexible natural stone veneers and brick wall panels for use in luxury high-end residential and commercial developments. Our products are typically supplied to commercial contractors, shop fitting specialists, architects, designers and developers for use in hotels, restaurants, retail premises, shopping malls and corporate headquarters. Dream Tiles are the leading supplier of quality tiles in Bicester, Oxfordshire and surrounding areas. Unmatched by any of our competitors, we can offer our customers first-grade stone and porcelain tiles from the top producers around the world. All Dream Tiles products are selected directly from the factories, bringing you the widest range of stunning floor and wall tiles. The Dream Tiles story is one of consistent growth and expansion into new markets. We are passionate about what we do and pride ourselves on our customer service and attention to detail. That is why we are now outsourcing tile production to suit the ever-increasing demand for bespoke and designer choices with multi-award winning companies including Fiandre, Alex Turco, Ariana and and many other factories around the world. We can source products from most factories, so why not call if you are after a certain tile you're finding hard to locate as we also use distribution companies from around the UK to find just what you're looking for. 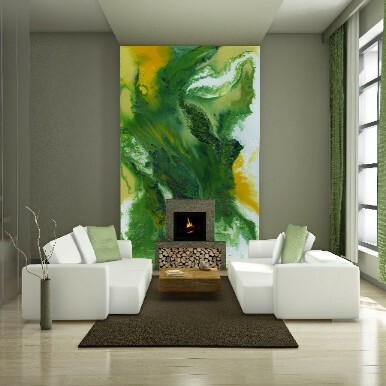 Dream Tiles would like to welcome Susan McArthur-Walsh of Bespoke Art Wall coverings. Susan is truly an innovator in her exploration of colour and form. Her methods of painting are a unique expression of the unseen and silent aspects that drive the human condition. Whatever type of tile you are looking for, Dream Tiles can help. We also offer a bespoke tiles service. Call today on UK+44 (0)7799115666 or email us for more details. 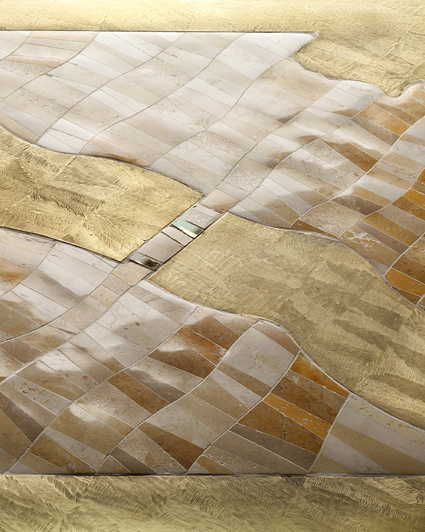 Dream Tiles of Bicester, Oxfordshire, are architectural tile and wall panel specialists. Our extensive range of quality tiles and panels have been installed in prestigious luxury developments including hotels, luxury showrooms and corporate buildings as well as luxury home developments. You too can add a touch of class and luxury to your home. Dream Tiles also sells direct to the public from our studio showroom in Oxfordshire. Call for more information. 21st June, 2018: Dream Tiles are excited to be working with GA Design, London who are a collection of design companies, who have been creating award-winning experiences for over 30 years. Our global team comprises a committed, 160-strong group of world-class designers, architects, strategists, project managers and creatives, who work out of our London, Kuala Lumpur, Budapest and Shanghai offices. United by a shared passion for ground-breaking design, wherever the brief takes us, our driving philosophy is one of Restless Curiosity. Dream Tiles are supplying tiles from award winning Designer David Pompa who has designed a range of tiles from Mexico that are needed for the Royal Atlantis Hotel that is on the entrance to the man-made "Palm" island (Shaped like a palm tree). 10th March, 2018: Dream Tiles would like to welcome Susan McArthur-Walsh of Bespoke Art Wall coverings. Susan is truly an innovator in her exploration of colour and form. Her methods of painting are a unique expression of the unseen and silent aspects that drive the human condition. She has been developing her method and working to understand the emotive responses it keeps giving. 25th May, 2017: Dream Tiles are pleased to announce that we have partnered with a UK company that specialises in the art of Liquid Metal Surfaces and acrylic spraying that can be adapted for all interior design concepts and can be used for wall panels, doors, furniture and counters for interior or exterior designs. It is ideal for the commercial, hospitality or residential sectors, especially shopfitting companies and interior designers that will give you the edge over your rivals! Please call for more information. 2nd October, 2016: Newhey Carpets working with Dream Tiles have now started to supply luxury carpets from one of the best producers of commercial and residential carpets in the UK. We can even accommodate bespoke carpet design for the residential, commercial and hospitality markets. The look and performance of a carpet will largely be determined by its construction. Consideration should be given to the functional needs of an area so that the correct product can be specified to provide the best performance in a particular location. The most common types of carpet construction used in commercial environments are woven and tufted, both providing resilient high performance solutions. However, tufted carpet accounts for over 90% of all carpet manufactured globally. April 7th, 2016: Dream Tiles have been appointed to supply and install bespoke tiles for a new London Italian restaurant, Margot, which will open in Covent Garden this summer. The tiles will replicate the original design of a restaurant which opened in Italy more than 50 years ago. For this project, Dream Tiles has called upon Guy Mitchell of Guy Mitchell Design, to make the hand-domed tiles. Click Here to read more. February 1st, 2016: Dream Tiles are delighted to announce that is has become the official distributor in the South of England of a stunning range of products from Manchester-based architectural, concrete products manufacturer, Eco Concrete Ideas. See our products on Dream Tiles. Click here to read more.